Tanes Hotel- Within walking distance of Cardiff's lively city centre, the small, family-run Tanes Hotel provides a warm welcome and superior service for a comfortable stay. Following a long day of Cardiff sightseeing, you can return to Tanes Hotel and relax in the communal lounge where you can read, chat to other guests or plan your next day's activities. Tanes Hotel is a 3-star self-assessed Guest Accommodation. Hammonds Park- Just 500 metres from Tenby's popular North Beach and only a pleasant 10-minute walk from the town square, Hammonds Park offers comfortable accommodation in bright, charming en suite rooms. Hammonds Park Guest House has 12 en suite rooms, including twin, double, family and four-poster rooms. Each room is light, spacious and attractive with an en suite bath and shower, as well as a TV and tea/coffee making facilities. Free Wi-Fi wireless internet access is available. Ample free parking is available for guests' use. The guest house is family-run by your hosts, Peter and Lan, who pride themselves on Hammonds Park's friendly, easygoing atmosphere. With pleasant accommodation and a convenient central location, Hammonds Park is a great choice, whatever your reason for visiting the region. With this charming guest house as a pleasant and relaxing base you can explore Pembrokeshire's beautiful beaches and wonderful coastline, have fun at one of the many nearby attractions or enjoy the delights of Tenby town, with its choice of great places to eat and drink. Thomas Arms Hotel- This small, friendly hotel with recently refurbished public areas is 5 minutes' drive from Parc Trostre retail park and the new rugby stadium. The rooms have an en suite bathroom and are comfortably furnished. There are many other attractions such as the Wildfowl Wetland Centre and the Millennium Coastal Path. The restaurant menu offers traditional pub food and modern dishes. The Wellington- One of the oldest buildings in Brecon, The Wellington's beautiful Georgian fa?ade stands looks over the town square and the monument of the Duke of Wellington. The Wellington is in a prime location at the heart of this charming historic market town. All of Brecon's attractions are within easy reach. The Wellington combines period charm, original features and historic character with modern comforts and facilities. All of the rooms are comfortable and contemporary, including plasma flat-screen TV with Sky satellite channels, tea/coffee and an en suite bathroom with bath and shower. 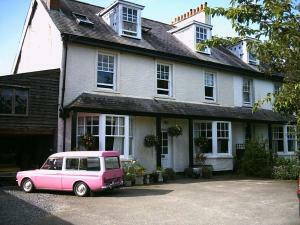 Seabreeze Guest House- Seabreeze has an idyllic seafront location in the old fishing port of Aberdovey. It offers central, seafront bed-and-breakfast accommodation with views over the beautiful Dovey estuary. Seabreeze offers modern, relaxing en suite rooms with powerful showers and fresh, crisp linen. Enjoy breakfast in a friendly and informal manner. Aberdovey is the perfect base from which to explore Mid and North Wales. Ty Rosa Boutique BandB- A 15-minute walk from Cardiff city centre, this charming, gay-run, boutique guest house with free Wi-Fi is hetero-friendly and offers stylish rooms and an excellent breakfast. Ty Rosa, Welsh for 'pink house' offers a warm welcome to all, whatever your orientation. The bus stop and train station just outside the house have regular services to the city centre. 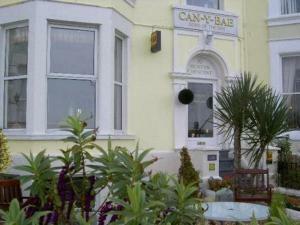 The B&B is well-located for Cardiff's gay scene, and has free parking. There are 5 chic rooms named after Welsh castles. An annexe building has 2 rooms named after islands. Each luxurious room has a cosy lounge area and free DVD library. A full cooked breakfast is included in the price, with a menu choice you would expect in a quality hotel. ? la carte evening meals can be pre-ordered. Southmead Guesthouse- Southmead Guesthouse has a good location between Llanelli town centre and the new Millennium Coastal Park. It is within 10 minutes' walk of the local train station. 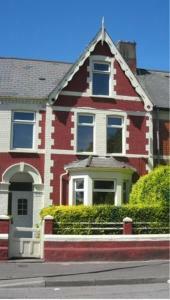 The Southmead is convenient for Carmarthen and Swansea and is close to Llanelli College and the hospital. Llanelli has many pubs and great places to eat in, as well as fun activities like paintballing and horse riding. There are also some unique fishing spots. Manian Lodge- In the heart of the Pembrokeshire countryside, yet only 2 miles (3.2 km) from the coast, this cosy 4-star guest house has free on-site parking, free Wi-Fi and home-cooked meals. Manian Lodge is in the village of Begelly, 2 miles (3.2 km) from Saundersfoot and 5 miles (8 km) from the historic town of Tenby. A bus stops outside the lodge entrance every hour. Manian Lodge is also on the edge of the Pembrokeshire coastal path, with its beautiful scenery. Attractions such as Folly Farm, Oakwood, Heatherton and Manor House Zoo are very close by. At Manian Lodge you will find a friendly, family atmosphere. Enjoy a home-cooked meal in the restaurant or just relax in the bar, or watch the sunset from the patio or the garden. As well as Wi-Fi, Manian Lodge has a stand-alone computer with internet access. The local train station, Klgetty, is half a mile away (800 metres). If arriving by train, the owners are happy to collect you free of charge (please let them know before arrival). St. Hilary Guest House- This elegant Victorian seafront guest house has magnificent views of Llandudno's sweeping bay and impressive Great and Little Orme headlands. St. Hilary Guest House offers beautifully decorated en suite rooms and a guest sitting room. Breakfast is served in the lovely breakfast room overlooking the bay. Guests return time after time as they enjoy the quality and service offered in a friendly and homely atmosphere. 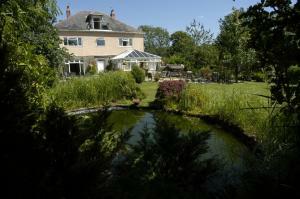 The guest house is included in the AA's Britain's Best B&B Guide 2009. The guest house is only 5 minutes' walk from Venue Cymru (North Wales Theatre and Conference Centre), and essential shops and services are within 200 metres. Harbourlight Guesthouse- Situated in the heart of the National Park's seaside village of Saundersfoot, this family-run guest house is just a 2-minute walk away from beautiful beaches, the harbour, restaurants and shops. An ideal location from which to explore the Pembrokeshire coastline, during your stay you can take leisurely strolls along sandy beaches, peaceful rambles through winding footpaths, or exhilarating walks across rugged cliffs admiring the spectacular scenery. In the evenings, the hotel's fully licensed bar is the hub around which you can meet your family, friends and our other guests to discuss the day's activities, or plan those for tomorrow. If you like a challenge, then try one of Allan's brain-teasing quizzes. Can-Y-Bae- Since the 19th century, the Can-Y-Bae has provided an elegant escape from everyday life. Now as a sea front town house hotel, a few minutes walk from the town centre & the Venue Cymru Theatre & Conference Centre, we offer fully refurbished accomodation with a relaxed elegance & a contemporary twist. All rooms are en-suite & offer complimentary refreshments & luxury toiletries. All Premier rooms have lift access. We have a fully licensed bar & restaurant. Oaklands bed and Breakfast- Nestled amid the beautiful countryside of North Wales, this charming guest house is situated in Llangollen, within easy reach of all the area's main attractions and beauty spots. Close to Thomas Telford's famous Pontcysyllte Aqueduct, the area has some lovely walks, including the Offas Dyke path. There are 3 pubs within walking distance and a bus stop right outside the door, providing access to the wonderful surroundings. A beautiful Victorian building, the Oaklands has been completely updated to offer all modern facilities, whilst still maintaining its ornate brick work and most of the original features. Church Guesthouse- Under new management since August 2009, this refurbished Victorian building is in the quiet, leafy suburb of Pontcanna, 1 mile (1.6 km) from the Millennium Stadium and Cardiff Central Rail Station. 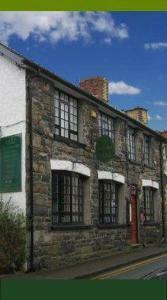 The Church Guesthouse is an easy walk from Cardiff's city centre and its major attractions. Sophia Gardens are just minutes away; Cardiff International Arena (CIA) and Cardiff Castle are around 1 mile away. 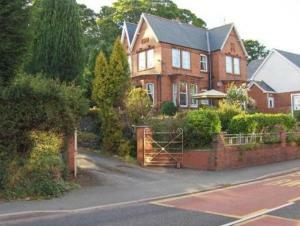 Pontcanna is a peaceful Cardiff area, with some very good shops, bars, restaurants and clubs. All of the rooms have an en suite shower room and some have baths. All rooms have TV's, Wi-Fi internet access and tea/coffee. Sky TV is available for guests. There is a family room and the guest house will provide cots, highchairs and a room fridge. A generous Welsh breakfast is also available for guests to enjoy. All guests are given their own key and are free to come and go as they please, accessing the building at any time. Free, unrestricted parking is available in the streets surrounding the guest house. The Forest Country House BandB- Hidden away in the beautiful, peaceful Vale of Kerry, this splendid Victorian country house offers luxurious 4-star bed and breakfast accommodation in 5 charming en suite double rooms. Built in around 1850, the guest house today offers high-quality accommodation for walkers, riders, cyclists, business people and holidaymakers. The peaceful, tranquil location makes the guest house a wonderful, relaxing base from which to explore the Newtown area and Mid-Wales. The guest house is set in 4.5 acres of garden and paddocks in the beautiful Kerry Valley. All of the rooms have fine views of the gardens and the valley. Each charming en suite room is well equipped with modern facilities such as satellite TV, DVD players, tea/coffee making facilities and Wi-Fi wireless internet access on request. With wonderful views over the garden, the guest drawing room is perfect for relaxing. The guest house also has a tennis court, kennels for dogs and horse stables. 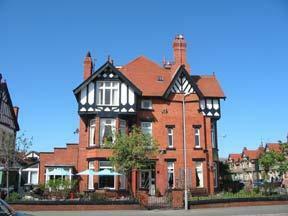 Jenivore Hotel (Non-Smoking) - BandB- Now under new management, this charming non-smoking hotel has a great location, just a few minutes' walk from the town centre, Llandudno's North Shore and many of the area's attractions. Llandudno's beautiful seafront promenade and the historic Victorian town centre are just a short walk away, and the hotel's excellent location makes it a great base from which to explore this beautiful part of Wales. After a hectic day enjoying all that the region has to offer, you'll probably want to relax and unwind, and there is a comfortable lounge with a TV and DVD player for guests' use. Most of the hotel's rooms are en suite and every room has a TV and tea/coffee making facilities. Well known for its warm and friendly atmosphere and excellent full English breakfasts, the Jenivore Hotel is a comfortable home-from-home where every guest is a friend. The Horse and Jockey Inn- Originally a 14th century coaching inn, the Horse & Jockey offers a warm and friendly atmosphere, owned by the same family since 1989. Situated in Knighton town, close to the Offa's Dyke Centre, the inn offers a cosy lounge bar with log fire and a main bar with weekend entertainment. At the end of the large courtyard is an 80 seater restaurant which offers an extensive menu. Owner and chef Gary Salt can cater for any occasion. Booking is essential at weekends. 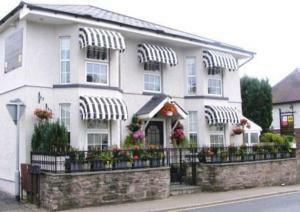 Aberconwy House- An AA 5-star luxury Victorian guest house, Aberconwy House is situated in the picturesque village of Betws-y-Coed, near Mount Snowdon, providing the perfect base to explore Snowdonia National Park. Some rooms have stunning views of Snowdonia. Rooms are stylishly decorated, with an en suite and an LCD flat-screen TV. Free Wi-Fi internet access is available in the hotel. The village is surrounded by the majestic Gwydir Forest, with many cycle and walking routes. The centre of Betws-y-Coed with its many restaurants is just a 10 minute walk away. After a day exploring the beautiful waterfalls, rivers and wildlife of Snowdonia, relax in the comfortable lounge or on the sun terrace at Aberconwy House. Newport Links Golf Resort- Ideally located within easy reach of the town of Newport, this 4-star hotel has stunning views looking out to sea from the heart of the spectacular Pembrokeshire Coast National Park. Nestled within the superb scenery of the Carningli (or mountain of the angels), on the Nevern estuary, the hotel is a great base for a relaxing break. During your stay, you can enjoy a round of golf on the outstanding 80-year-old golf course, go salmon fishing on the best river in Wales or simply walk the best coastline in Britain. In addition to this, the hotel is only 15 minutes from the port of Fishguard, which takes you directly to Ireland. Newport attracts all kinds of people, from walkers, bird watchers to golfers and fishermen. With its arts and crafts shops and extremely friendly Welsh pubs, Newport has everything. The hotel's friendly staff will endeavour to help arrange the perfect break for you.